What is the wildest thing you can think of that your Mom ever fixed for you as a kid. For me??? Blind Fish. I loved it too. I just recently remembered that from long ago. She’d say, “Do you want me to fix you some blind fish?” What she meant was “French Toast.” Why did she call it Blind Fish? I actually looked it up. The proper spelling is Blinde Fische. It’s German. Interesting huh? Funny the things you think of when you run. Hit it at 6:30 am and it was actually cool outside. Nice. Sported my Vibrams today – for my easy 3 mile run (Hal Higdon‘s Novice 2 Plan). Didn’t push it following my bike ride yesterday. Muscles sore and tired. Picked up some friends along the way. If you mouse over them they think food is coming. 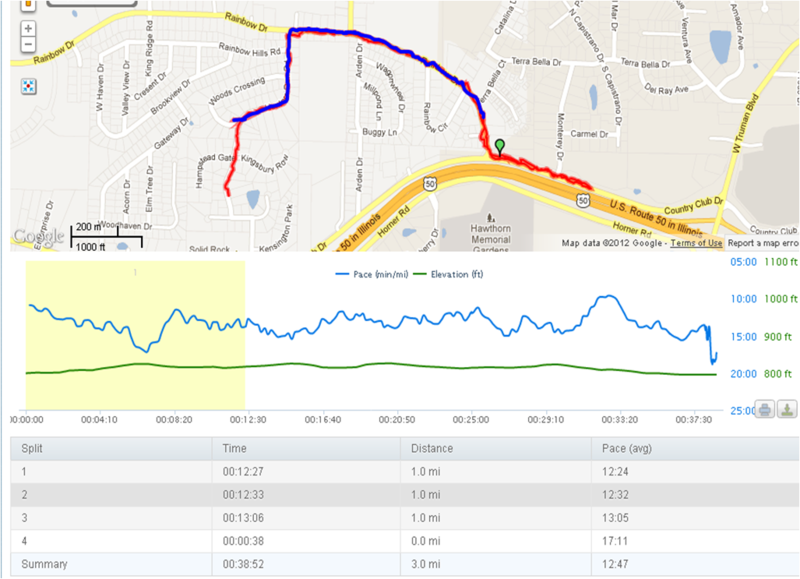 Below is today’s data on my run. This entry was posted in Diet, Fitness, Miscellaneous, running, Training. 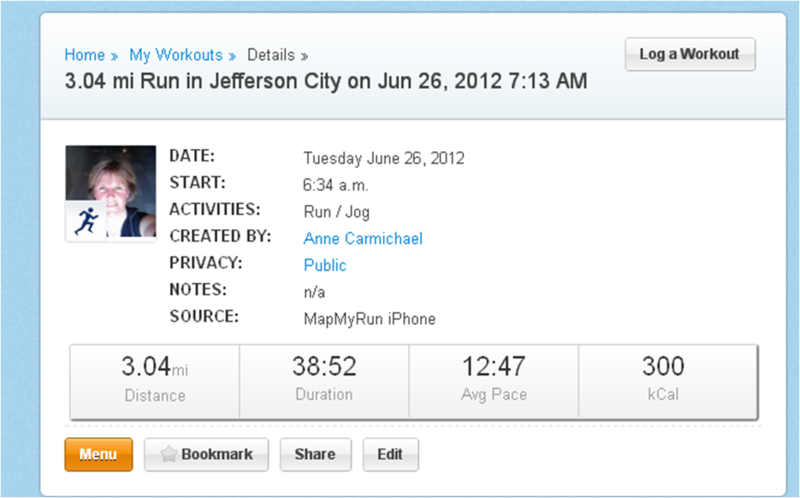 Tagged 3 mile run, Aquaculture, Business, Fish, Hal Higdon, Mile run, Running. Next Post Next post: Happy Anniversary! OK, so none of those fish are blind! They all chased my mouse…cute! Let me know if you’re up for a bike ride on the Katy. I did 14 miles today and averaged 11 mph. I am interested in riding Sunday morning – early. That is my cross-training day. Saturday I have to run 9 miles for my long run. When training for the half marathon, the longest run I did before the race was 10 miles. Marathon is a whole different animal. Could we do it about 7 am?? Also, do you have any extra bunji cords. I used mine on our plants and will need to transport bikes. sorry no bungee cords. Wal mart probably has them. ok we’ll plan on 7am at the Katy Trail?